2019 MILO Summer Sports Clinics: Get Your Child Into Sports! MILO Philippines ushers in the much-awaited summer break as they officially launch the 2019 MILO Summer Sports Clinics today at KidZania. With its commitment to provide the nutritious energy to get more children into sports, MILO’s yearly program continues to offer a wide array of sports activities that kids can participate in throughout the summer. Driven by the “Get Your Child into Sports” campaign, the MILO Summer Sports Clinics aims to reinforce the importance of sports in a child’s holistic development. Children today are faced with numerous barriers that hinder them from engaging into sports such as digital distractions, lack of safe play places, and fear of trying. MILO’s annual summer clinic seeks to address these challenges by highlighting sports as a means not only to get kids active, but also to teach valuable life lessons one can learn outside the classroom. “Getting children involved in sports would be a more enjoyable and productive way to healthy living,” said Willy De Ocampo, Business Unit Manager, MILO Philippines. “We believe that physical and social development lay the foundation for a child’s growth, which is why our MILO Summer Sports Clinics teaches children the fundamentals of various sports in a unique and scientific way and helps them develop character-forming values.” he added. This year, MILO makes the ‘Summer Sports Clinics’ accessible to more aspiring young athletes as they continue their expansion in the Visayas and Mindanao region. The clinics will be available starting end-March, in over 700 venues to more than 30,000 children nationwide. Arnis, Ultimate Frisbee, and Wushu are this year’s newest additions to the program’s sports offerings. Apart from those sports, the MILO Summer Sports Clinics will continue to provide training to different sports disciplines, namely Badminton, Basketball, Chess, Fencing, Football, Futsal, Golf, Gymnastics, Karatedo, Lawn Tennis, Parkour, Swimming, Table Tennis, Taekwondo, Touch Rugby, and Volleyball. To enhance the summer clinic experience of the participants, select clinic organizers will offer a MILO Welcome Kit that contains an exclusive Summer Sports Clinics drawstring bag and MILO to ensure the participants will get their Champion Energy Nutrients when they embark on their summer courses. 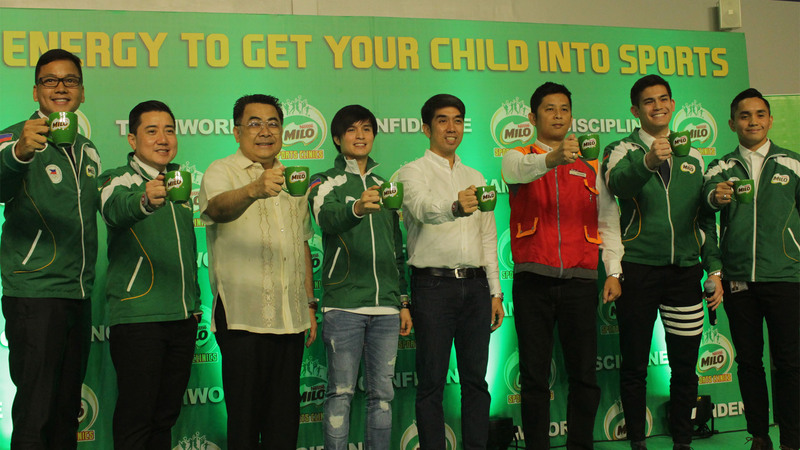 For more than 35 years, MILO prides itself in partnering with a roster of esteemed organizations such as the BEST Center and Philippine Taekwondo Association among many others, that have been instrumental in maintaining the sports excellence that the Summer Sports Clinics is known for. Expert coaches and instructors who have competed and won in local and international competitions such as the Southeast Asian (SEA) Games and the Olympics will handle the programs. These mentors use modern and scientific approaches that will help participants gain appreciation for the different sports, live a healthy and active lifestyle, and embody the morals of discipline, confidence, teamwork, perseverance, and hard work. By centering on values in sports, MILO’s Summer Sports Clinics along with its other sports programs, have created outstanding personas in the sporting scene. The roster of alumni includes BEST Center graduate Chris Tiu, Taekwondo clinic graduate and SEA Games medalist Japoy Lizardo, and Gymnastics clinic graduate and SEA Games gold medalist Kaitlyn De Guzman. Get your child into sports and enroll them in the MILO Summer Sports Clinics! The 2019 MILO Summer Sports Clinics is endorsed by the Department of Education, Philippine Olympic Committee, Philippine Sportswriters Association and is in partnership with Chris Sports, SKLZ, Wilson, and Rain or Shine. For more information on the MILO Summer Sports Clinics and MILO Philippines, log on to the official website (http://www.milo.com.ph) or the MILO Philippines Facebook page (https://www.facebook.com/milo.ph). Follow MILO on Twitter (@MiloPH) and Instagram (@MiloPhilippines). Next articleThe Phantom Is Here In Manila!